So spring has finally sprung and you realise the grass is long overdue a trim. You head to the shed to dust the cobwebs off the mower, roll it out onto the straggly grass, pull the starter cord and…… nothing! Your trusty old mower has given up on you and needs to be put out to pasture! So it’s time to buy a new lawn mower but where do you start? Buying a lawn mower can be a minefield. 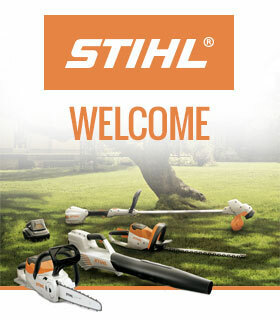 There are so many options available that it can be overwhelming when faced with a row of shiny new mowers instore. That’s where our lawn mower buying guide comes in – we‘ve been manufacturing lawn mowers since 1992 when STIHL acquired the VIKING lawncare brand so we know a thing or two about lawncare. Our lawn mower buying guide will take you through the most important considerations when buying a new lawn mower. The most important thing to consider is the size of your lawn. Broadly speaking, if you have a lawn bigger than 600m2 (which is roughly the size of 2 tennis courts) then you will need a petrol or robotic mower. For a lawn smaller than this, a cordless or electric lawn mower will be perfect for the job. 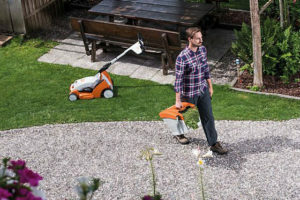 Battery technology has evolved at a rate of knots in recent years and the benefits of a cordless mower are numerous. Long gone are the batteries of old that lasted 10 minutes and took three days to charge. The new generation of Lithium-Ion batteries give long run times and charge in no time at all. With no fuel emissions, low running costs and whisper-quiet operation, as demonstrated by the Quiet Mark award given to our RMA 235 and RMA 339 C, our cordless mowers are ideal for keeping the neighbours happy! And if regular maintenance isn’t your strong point, cordless mowers require much less attention compared to their petrol counterparts. The RMA 235, for lawns of up to 200m2, features eco mode technology which automatically adjusts the speed of the motor to ensure you get the most out of your battery. The RMA 339 C, for lawns up to 300m2, comes with our innovative mono-comfort handlebar, which makes it much easier to access and remove the grass box. Both the RMA 235 and the RMA 339 C are part of the COMPACT Cordless System range of tools, which all share the same battery design, and also includes a grass trimmer, hedge trimmer, blower, long-reach hedge trimmer and two different chainsaws. This gives you the option to switch the battery between all the tools in the range. 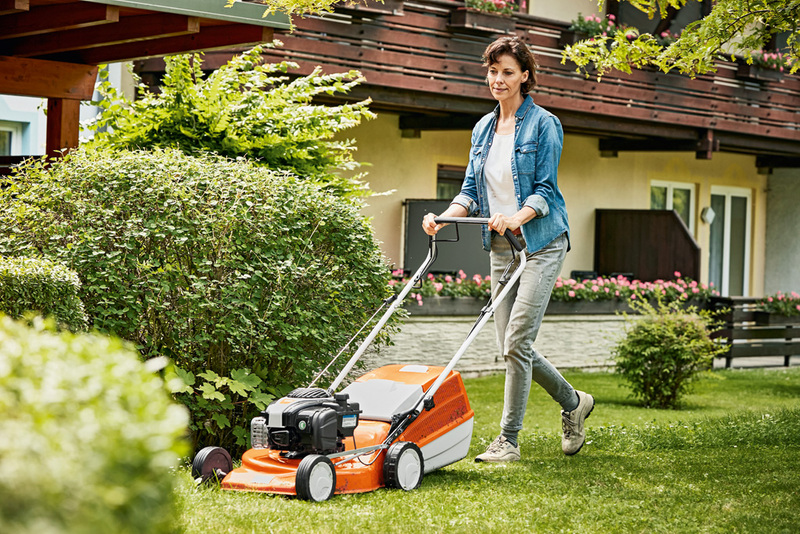 If you need a mower for a larger lawn, the cordless lawn mowers in our PRO Cordless range have wider cutting decks and a sleek design, including a slot for a spare battery. The RMA 443 C is suitable for lawns up to 500 m2. For even more ease when mowing your lawn, the RMA 443 TC and the RMA 448 TC both have one-speed drive, which is a great benefit for anyone with large area of lawn, or a sloping garden to mow. For excellent value, you can’t beat an electric mower with prices starting from £145 RRP. The RME 235 is a great little lawn mower that can cover lawns up to 300m2. It also features our easy-open grass catcher box and an adjustable handlebar for compact storage. If your lawn is up to 500m2, then the RME 339 is the best option, whilst the RME 443 can easily cope with lawns up to 600m2. All of our electric mowers are lightweight and easy to maintain, similar to the cordless models. For those with a larger lawn, we have a great selection of petrol mowers with a wide range of engine sizes to suit your lawn. A larger engine size means you can have a wider mowing deck and therefore cover a larger lawn in a shorter space of time. Check out our guide below showing which mower is suitable for your size of lawn. If you think a petrol mower is right for your lawn size, you need to consider what type of drive you want – there are four automatic drive options in our mower range. If the mower has any of the following letters after the model number, it signifies the drive type. However, if these do not feature (for example, our RM 248), the mower does not have any drive and is otherwise known as a push-along mower. 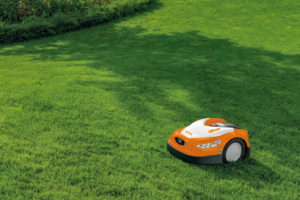 These models are ideal for flat lawns where you need full control of the mower. Mowers with a single-speed drive move at a constant speed without having to push the mower across the lawn. This gives the option of mowing at a slower or faster pace, depending on the size and characteristics of your lawn – you may want to move slower around your favourite flower beds or prize shrubs! There are two other speed options, 3-speed drive (symbolised by the letter G) and hydrostatic drive (symbolised by the letter Y), which only feature on our highest-performing professional 7 Series mowers and allow greater control of the speed. Most homeowners won’t need this type of drive for mowing their own lawns. For those of you that want that Wembley stripe finish on your lawn, we have two models in our range with a rear roller: the RM 545 VR and, for professionals, the RM 655 RS. For lawn sizes from 300 m2 all the way up to 4000 m2, another option is the iMow, our robotic mower which cuts the lawn for you so you can relax knowing that your lawn is taken care of. Once a discreet perimeter wire has been installed around the edges of your lawn and the iMow has been programmed by one of our expert dealers, it automatically cuts your lawn and charges itself when needed. As it is a mulching mower, it mows often enough that it only cuts a tiny amount of grass each time then drops it back into the soil as a natural fertiliser. This means that your lawn will always look its best and you never have to dispose of any clippings. For those of you that want even more convenience from your lawnmower, try our 6 Series app-controlled iMow. In addition to the removable control panel, you can also change settings using an app on your smartphone. If you need to change the mowing plan, read status messages and pause or start new mowing operations, you can do all of this in a flash with the app. 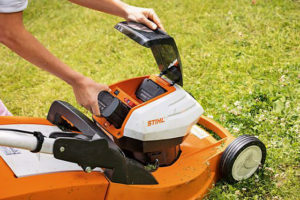 All STIHL lawn mowers (except the R Series of mulching mowers) have an innovative polymer catcher box for collecting grass clippings. The design of the box maximises the air flow so that you have an optimum cutting performance right up until the moment the box is completely full. If you like the idea of an environmentally friendly option, you could also consider a mulching kit, which is an additional accessory available on all of our mowers except the 2 Series. The carefully designed mulching blade finely shreds the grass and drops it onto the ground, where it acts as a natural fertiliser without the use of chemicals, giving you that lush green finish. Another advantage is that you never have to dispose of the clippings. Another great feature on many of our lawn mowers is the distinctive mono-comfort handlebar. Far from being a design quirk, the single-sided, height-adjustable handlebar is sturdy and secure and it makes emptying the grass catcher box a breeze. It can also be easily folded over for more compact transport and storage. Once you have decided on the right mower for you, regular maintenance and cleaning is essential. Don’t forget to clean the deck little and often to avoid the build-up of grass clippings, which will affect mowing performance and collection. It is always best to check your product manual for help and advice on maintaining your lawnmower. 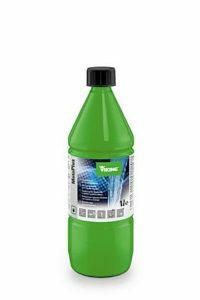 And to protect your mower’s engine, Moto4Plus is specially developed for 4-stroke engines and is virtually benzene-free for a lower impact on the environment. The largely smoke-free combustion protects the valves and pistons, increasing service life and performance, plus it can be stored for up to 5 years without impairing quality. Whatever mower you choose, all of our lawn mowers are renowned for delivering a perfect cut and excellent grass collection, even when the grass is wet. If you’re still unsure visit your nearest dealer now for their advice and expertise.